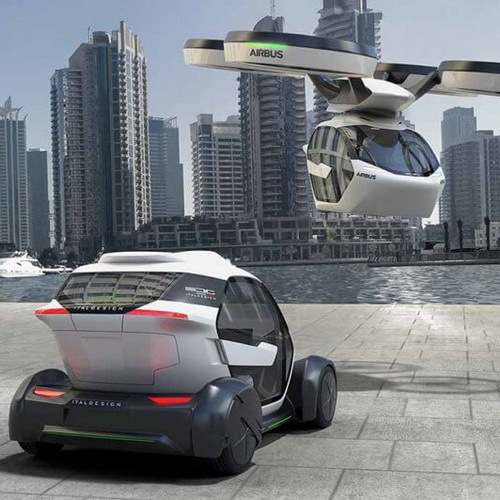 Tinuku ~ Airbus and Italdesign announced Pop Up flying car concept at the Geneva Motor Show 2017 as a future mode of transportation in metropolitan landscape. An implementation plan is the latest technology to complete the final problems of traffic and travel efficiency. A system concept to combine overland and air travel is very efficient and personal. 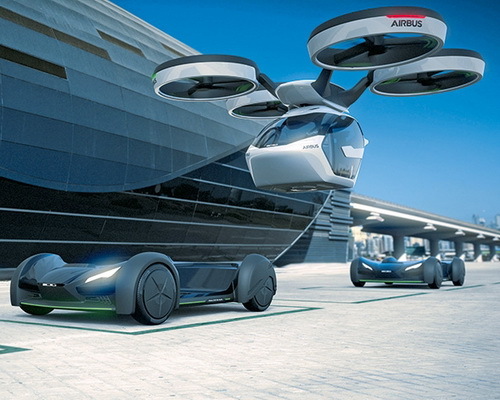 Airbus and Italdesign expose the latest technology to help the residents of the city to solve the problem of traffic using the parts of wheel base, passenger capsules, and drones base. Three components assembled into a vehicle as new transportation modes and should be able to walk on highway and fly at same time. The Pop Up concept vehicle unveiled at the Geneva Motor Show 2017 has a structure that allows the components perform tasks separately or together into unity. Passengers can choose to use the mode of travel on highways or select airline travel mode. 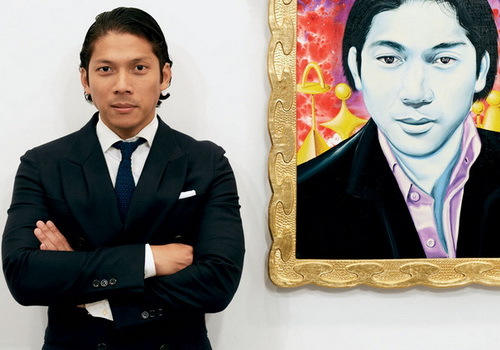 "Today, the car is part of the eco-system more broadly. If you want to design future urban vehicle, not as a traditional car solution. You have to think about the infrastructure and smart," says Jörg Astalosch, CEO of Italdesign. 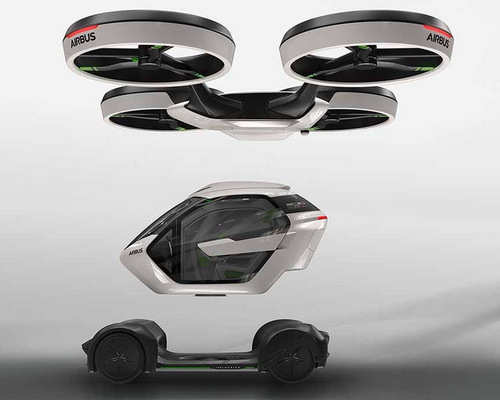 Airbus and Italdesign initiated a transportation solution in a very dense landscaping. Capsules can be separated from the wheel base connection, then the drone components come from sky attached to capsule roof. Thus a switch from overland journey into airline travel. "The car combines an overland trip by air travel and allows passengers to move in a smooth and faster way of the A-to-B using city sky. The sky urban untapped, while the layout and highways can not be maximized. 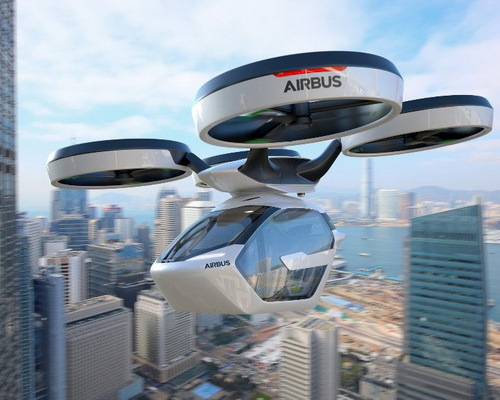 We combine air and ground to utilize maximum space in cities," said Mathias Thomsen, general manager at Airbus. Traffic congestion and bad weather flying car is a major consideration. Pop Up is designed as a system where passengers will be planning a trip through an application. The system can automatically suggest the best transportation solutions to passengers to choose a road trip or air travel. If the flight method is the best choice, capsules disconnect from the wheel and rotor modules attached on top to bring fly. 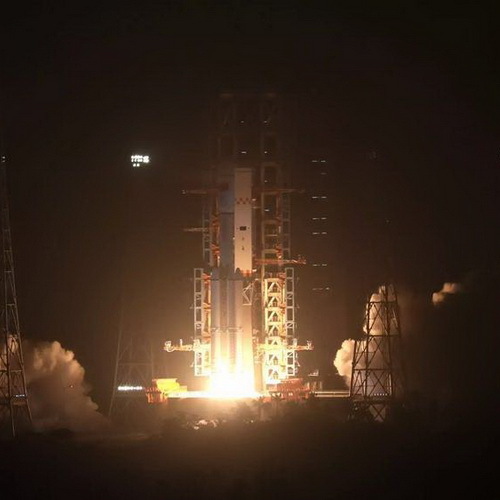 Once the passengers reach their destination, the air module, ground module and capsule returned to the station to wait for the next customer.